Omar Khadr apologizes to the widow of Sgt. 1st Class Christopher Speer, who was killed by Khadr's grenade in 2002, saying that he is sorry for the pain he caused the American soldier's family. Omar Khadr apologized Thursday to the widow of Sgt. 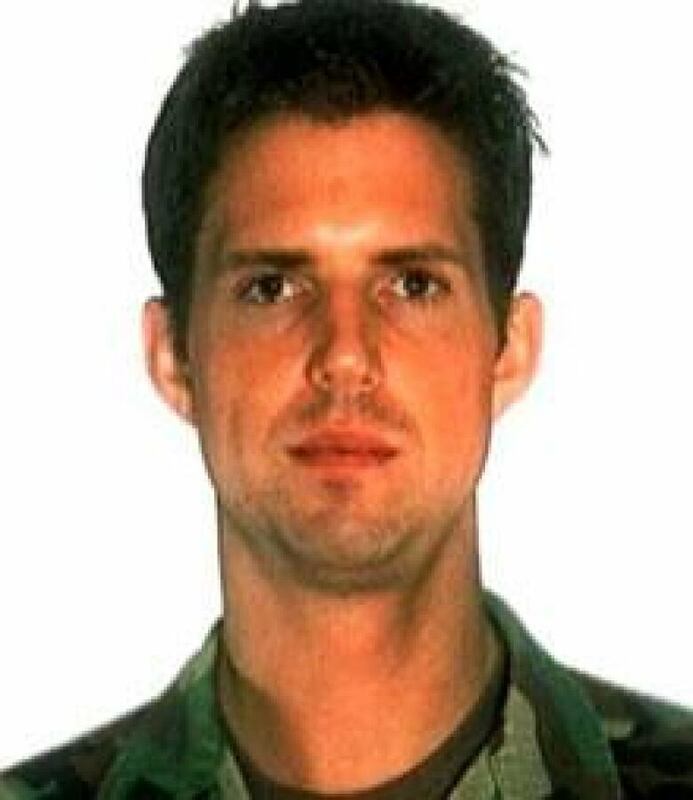 1st Class Christopher Speer, who was killed by Khadr's grenade in 2002, saying that he is sorry for the pain he caused the American soldier's family. "I'm really, really sorry for the pain I caused you and your family," he said during his most extensive comments since his capture. "I wish I could do something that would take away your pain." That's my biggest dream and biggest wish, to get out of this place. Because, being in this place, I've really known and understood the wonders and beauties of life I haven't experienced before. I would really like to have a chance to experience these things. The most important thing that I wish for is being a doctor of medicine. That's because, me personally, I've experienced from my injuries physical pain and I've experienced like emotional pains. I know what pain means. I'd really love to relieve a person who is suffering from such pain. During my time here, as Nelson Mandela says, in prison, the most thing you have is time to think about things. I've had a lot of time to think about things. I came to a conclusion that hate, first thing is, you're not going to gain anything with hate. Second thing, it's more destructive than it's constructive. Third thing: I came to a conclusion that love and forgiveness are more constructive and will bring people together and will give them understanding and will solve a lot of problems...[Standing, to Tabitha Speer]: "I'm really really sorry for the pain I've caused you and your family. I wish I could do something that would take this pain away from you. This is all I can say. Khadr was speaking from the witness box at his U.S. military commission at Guantanamo Bay, Cuba. Khadr told his sentencing hearing that his biggest dream is to get out of the prison and that he wants to be a doctor. He said he knows what pain is, and as a doctor he could help people with their pain. Asked by his lawyer whether he still had any anger, he said no. "I've had a lot of time to think about things," he said. "You're not going to gain anything from hate." Khadr's apology was in an unsworn statement, which allowed him to address the court without facing questions from prosecutors. Tabitha Speer, sitting in the front row, gripped the armrests of her chair during his comments, shaking her head as he spoke. When he stepped down and the jury left the room, she cried. Earlier Thursday, Speer's widow had testified that her husband was a "most generous, loving" husband before he was murdered by Khadr. "He thought of me before he thought of himself," she said. "I couldn't have asked for a better father for my children." At times sobbing, she described her heartbreak at having to tell their children, then a three-year-old daughter and 10-month-old son, that their father had died. "That moment a part of my daughter died with my husband," she said, adding that eight years later, the children still feel the pain of his absence. "I heard over and over how he's the victim," she said, glaring at Khadr. "I don't see that. The victims … they are my children. Not you." Khadr's defence lawyers did not cross-examine her. 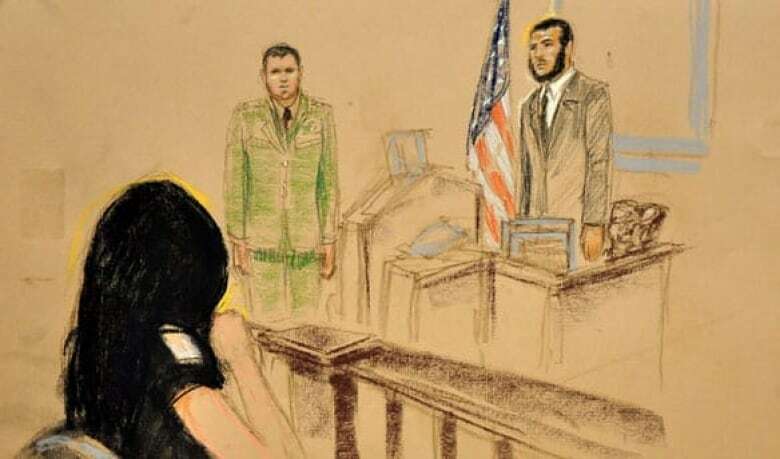 In a plea deal, the 24-year-old Khadr pleaded guilty on Monday to killing Speer and to four other charges, including attempted murder, conspiracy, providing material support to terrorists and spying. According to a document listing facts in the case, Khadr killed Speer when he threw a grenade at him following a firefight between al-Qaeda operatives and U.S. forces in Afghanistan on July 27, 2002. Speer died from his injuries on Aug. 8, 2002. Tabitha Speer has been at the hearing since it began Monday. She has shown great emotion throughout, often clutching at her sister's arm when her husband's death is discussed. Prosecutors hope her testimony, as well as that of expert witnesses, will convince the seven-member jury to recommend a stiff penalty. A UN expert on international law and human rights said Thursday that Khadr's plea agreement is "a shame and a disgrace." "The charges to which he has pleaded guilty are not war crimes recognized by international law," said Martin Scheinin, the UN's special rapporteur on the promotion and protection of human rights and fundamental freedoms while countering terrorism. "They are crimes within the definitions of the U.S. Military Commissions Act, but they are ordinary crimes and should be tried before an ordinary court," Scheinin told CBC News. On Wednesday, Radhika Coomaraswamy, the UN secretary general's special representative for children and armed conflict, urged the U.S. military commission to allow Khadr to return to Canada to be rehabilitated, rather than be detained further in a U.S. facility. Khadr represents the "classic child soldier narrative: recruited by unscrupulous groups to undertake actions at the bidding of adults to fight battles they barely understand," Coomaraswamy wrote in a letter to the commission, and of which a copy was obtained by CBC News. The Islamic Supreme Council has also called for Khadr to be rehabilitated in Canada. "We don't really have an option," Sayyid Ahmed Amiruddin, the council's vice-president, told CBC News. "We're not Iran, where we execute the individuals … and we're not willing to keep this individual in jail for the rest of his life. "So he is at one point going to be made to go back into society if we accept him back into Canada. And so it would be unwise to allow this individual back into our society without being properly rehabilitated and de-radicalized." 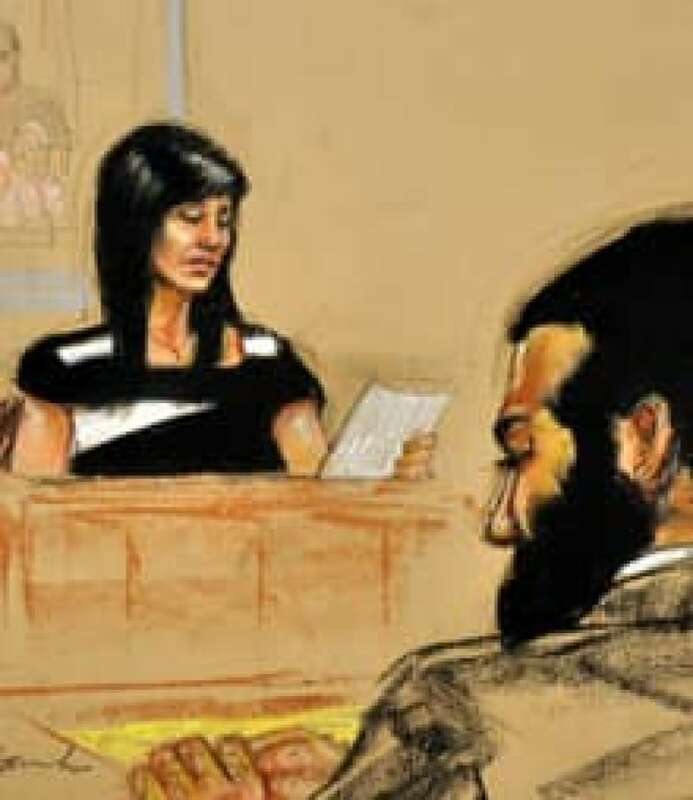 Earlier Wednesday, expert witness and forensic psychiatrist Dr. Michael Welner said it was likely Khadr would return to a life of jihadism unless he is "de-radicalized" during his detention. Welner said Khadr will need to be deprogrammed of his jihadist ideology before he is allowed to re-enter society. Khadr's lawyers attacked Welner's testimony, suggesting his assessment of Khadr was based on the controversial writings of Danish psychologist Nicolai Sennels. Sennels has been quoted as saying that "half of the Muslim population is the product of in-breeding" and that "the Qur'an [Islamic holy book] is an evil book that causes people to do criminal things." Also Thursday, the former top military legal adviser at Guantanamo said Omar Khadr was a model prisoner. Navy Capt. Patrick McCarthy said Khadr sometimes served as a mediator between prisoners and prison officials. "Mr. Khadr was always very respectful," he said. "He had a pleasant demeanour." McCarthy, who was testifying as a defence witness, told jurors he believes Khadr can still be helped because he is young. The chief prosecutor at the tribunals, Navy Capt. John F. Murphy, noted Khadr's guilty pleas and that prison records have him insulting guards and bragging about killing Americans. McCarthy didn't know about the insults. They likely happened when Khadr was still a teenager, he said. "Fifteen-year-olds, in my opinion, should not be held to the same level of accountability as adults," McCarthy said. Dr. Arlette Zinck, the dean of the faculty of arts and an associate professor of English at King's University College, a Christian school in Edmonton, also testified in Khadr's defence. Zinck, who said she wasn't representing the school, confirmed that she is an advocate for Khadr. "I’d be very interested, because I feel that, you know, people who are giving me a chance without knowing me, that really means a lot to me," he told the commission. Khadr said he was interested in going into medicine. Dr. Michael Welner is a forensic psychiatrist, not a forensic psychologist, as was originally reported.